The past few months, I have shared my member’s perspective covering a variety of topics. As a member of California Family Fitness, my favorite thing about California Family Fitness is the child care. With my membership, I am able to utilize their fitness products like the foam roller! I am challenged and encouraged to add add strength training to my marathon training plan. The members and staff at California Family Fitness, whom many I consider friends, keep me challenged and accountable with my health and fitness goals. This is an amazing thing. As with all things in life, one must have and find balance. I will never be able to achieve my health and fitness goals if I never take a break and rest. There are many health benefits to finding rest… daily, weekly, or more! I am learning to find rest… while using my membership at California Family Fitness. While training for my next marathon, yes, I am training for the LA Marathon this March, I have rest days. This is hard for me. As a busy mom finding time for myself is an added challenge too. Thank goodness for the amazing childcare (that I mentioned above) and the fantastic facilities at Cal Fit. I am able to rest. I am able to enjoy the quiet. I can breathe and focus on collecting my thoughts (without my children underfoot). I can sit in the sauna, steam room, hot tub, or just enjoy the sunshine by the pool. Rest. 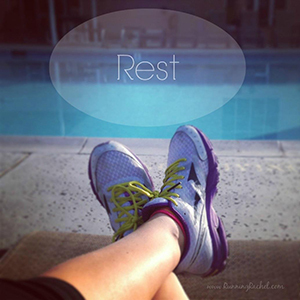 Rest is amazing for the body… but it is also an amazing thing for a mama’s brain! I am thankful for my membership at Cal Fit so I am able to effectively find rest during a chaotic day and training plan. How often do you slow down, breathe deep, and rest?